The sport relief week at FitzHerbert C of E Primary School! Smashing Sport Relief got us all into a spin! (well, a hula hoop anyway!) We decided to take on the Daley Challenge and what fun we had along the way! 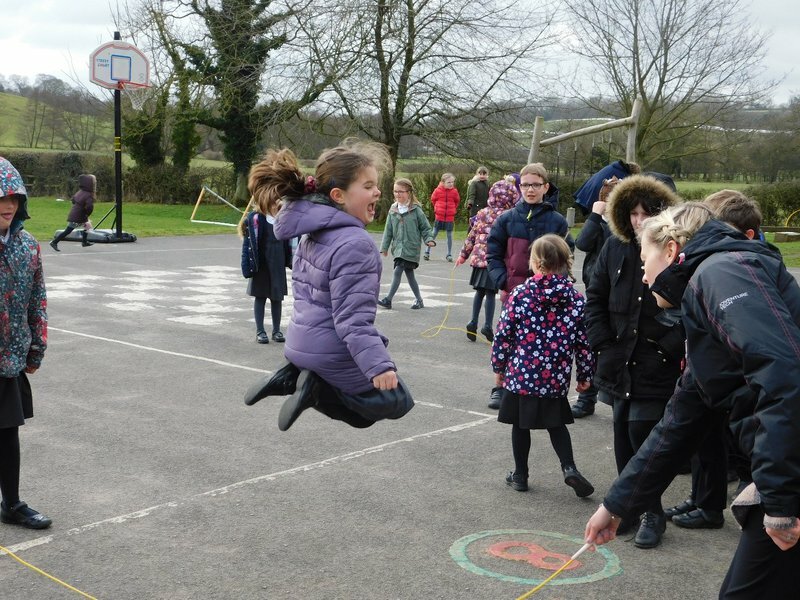 It all started with Hula Hooping Monday – everyone in the school gave it a go and our highest score was a very dizzy 110! 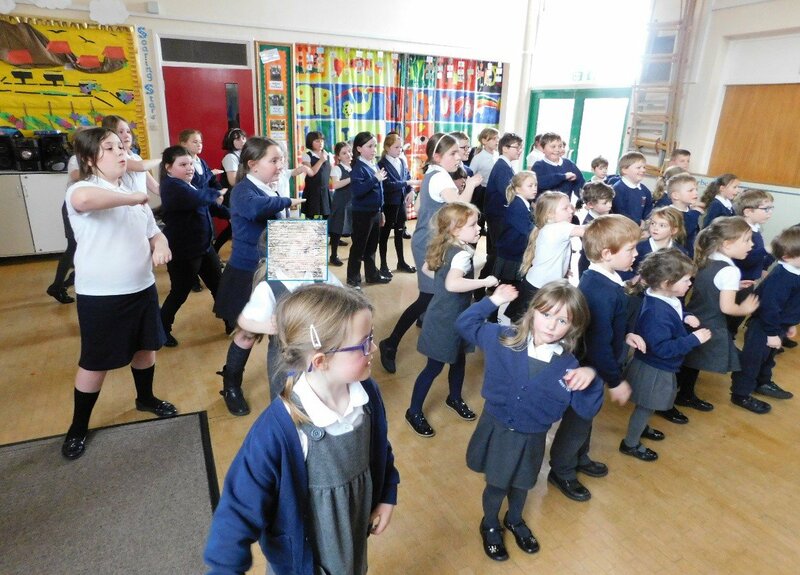 We also started to learn the Sports Relief song ‘Step It Up’ along with the groovy dance moves. We all loved the tune, it is really catchy and we had great fun learning the dance moves too. Tuesday was all about skipping - we completed a Skip-a-thon. All the children and the lovely teachers took part. The teachers showed off their competitive sides and managed over 100 continuous skips but in the end the children were crowned victorious with over 150! Wet Wednesday saw a certain teacher get very soggy after the whole school launched wet sponges at him. At the end we called him Soggy Sharratt - it was a great feeling to get revenge on the teacher! Boogie Thursday was a chance for us to show our dance moves off! We danced to different Kids Bop songs including one of our favourites “Fight song”. Even some of the teachers secretly enjoyed a boogie! 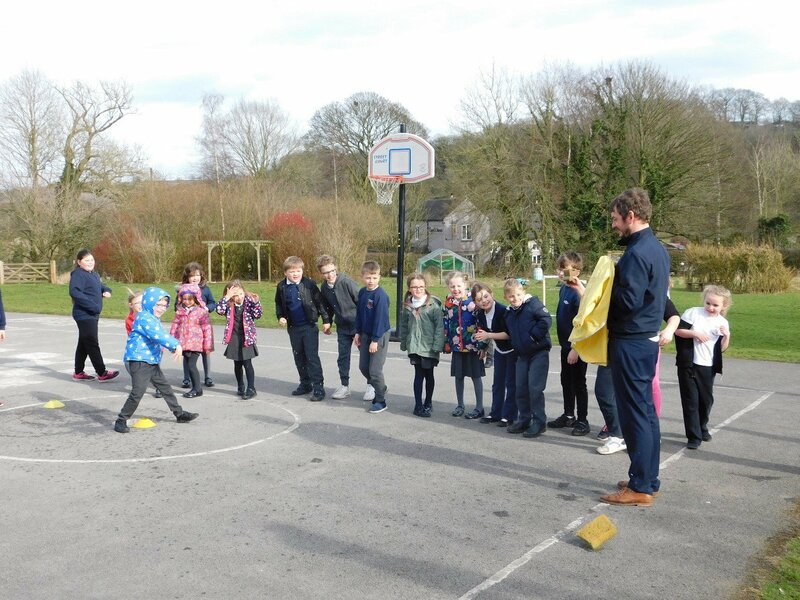 Footy Friday involved a Keepy-Uppy challenge and a penalty shootout against our teacher. Some of the children really enjoyed showing off their football skills. At the end of the week we performed our version of the Step It Up song and dance to the parents and visitors at our Celebration Assembly. The whole school had a fantastic time showing off their sporty skills and raising money for a great charity. We managed to raise a total of £70.60 which is an impressive amount for a small school!